← I KNOW YOU’RE A WRITER, BUT HAVE YOU GOT AN ELEPHANT? I first came across Hearthstone Hall in the spring of 1978. Of course, its name wasn’t Hearthstone, but it was, is, a mediaeval hall and remains in a remarkable state of preservation. My first impression as I crossed the ancient bridge over the river and saw the building rearing against a pebbled sky, was one of solidity, mass, almost as if the Hall had sprouted from the land and, in deep underground fissures, its roots twisted and turned through infinite depths. ‘In caverns measureless to man’, as Omar Khayyám so perfectly puts it, in his Rubaiyat. My second impression was of coldness. Not the normal coldness of an English spring, but something uncaring of my presence, brutal and arrogant. Then, as a horde of schoolchildren streamed from the massive, studded, English oak doors, the impression evaporated and it was just a pile of well-arranged stones with a turbulent history. Hearthstone is a fine building, but it has housed the great, the good and a whole horde of ruffians and ne’er-do-wells for over a thousand years. Perhaps the emotional response I felt was not simply the coolness of stones but the spiritual detritus left by its former residents. As I walked the uneven oak floors, dodging around a dozen Nikon wielding Japanese tourists who were being told ‘no photography’ and repeatedly pretending they did not understand English, the idea for my latest novel, AND SOON THE SONG, was generated. It would be a ghost story in the classical tradition of Sheridan Le Fanu, M.R. James or Poe. I had thought of writing a ghost story when visiting Repton Church crypt whilst researching my first novel, NORTHMAN, and in some way I suppose that dear old Thorkild was a traditional ghost, despite being something far more evil, but he didn’t satisfy my desire to have a real ghost with a despicable history tramping the panelled corridors of an ancient English house in search of victims old and new, so Elyssia was born. Elyssia Tilling is dead for most of the novel. She returns from the asylum in which she has been incarcerated for many years to her home, Hearthstone, as a ghost. In her madness, she has an evil agenda to repeat her unspeakable sins and it involves all those who were present at the Christmas Ball, twenty years ago. But something else drives her and it lives in Hearthstone Hall. The idea of Elyssia (or the reality) came from a painting. As the Japanese glided noisily through to another room and silence descended, I happened to look up and to the right of an ornate cherubim-clad fireplace and there she was. Raven hair, imperious bearing and just a hint of madness in her green eyes. The painting dominated the room, but more that that; it was the room. Sadly, I forgot to jot down the name of this grand mistress of Hearthstone. I revisited the house in the summer of 2011 and the painting had vanished. I asked one of the guides – a very knowledgeable lady of indeterminate years – what had happened to the painting of the dark-haired, green-eyed woman and she said that she had never seen a painting of a woman of that description in the twenty-eight years she had been a guide in the property. To this day and, despite extensive research, I have never found a trace of this painting, or any indication of who this woman might have been. But I remember her green eyes. The first attempt at And Soon The Song wasn’t begun until the 1990s. It was almost twenty years until Hearthstone and Elyssia became more than a few notes written in biro on the back of a Player’s Navy Cut cigarette packet. It refused to be written. Every time I began it, something would take me away. The storyline was hard – it involved a taboo subject, one about which I felt deeply and I had to constantly reassess whether or not I should be writing about this subject at all. But, after a couple of years, I had a draft of sorts. It was awful. None of the characters breathed and although I could accept this deficit in the dead, even the living were moribund. Then I became ill. It might have been the nature of book that encouraged the illness, or it might just have been the result of my hectic lifestyle, but thoughts of The Song drifted away and were replaced with no thoughts, apart from those sufficient to get through the day. Autopilot took over for ten long years as I wrote and directed TV commercials about wood preservative or supermarkets and promos for banks, bands and earth-moving equipment manufacturers, but the earth refused to move on the fiction front and the first draft of The Song languished in a drawer with several dead moths who, like me, found it unpalatable. When I visited Hearthstone in 2012 the disappointment of not seeing the painting galvanised me into fevered action, overriding my first instinct to leave the manuscript alone. I wrote a second draft, a third, a fourth… and so on. The book’s time appeared to have come. Elyssia, dead these long years, now lives, as do Raoul de Courcy and his clan, Sir Marcus Tilling, Tom, Charlotte, Martha, Annabelle, Wigley the butler and the magnificent dog, Chan – a Japanese Toser of the finest ilk. This time there was no hesitation, no coyness or recalcitrance – every character had been waiting for his or her chance to strut across my stage, and strut they do, including the wonderfully evil but infinitely sad Elyssia. Her eyes continue to haunt me and I know that somewhere in the world her painting sits, perhaps in the dark, I hope in the light, where her green eyes stare out at the gawping masses with contempt… and we all pray she stays in the damned painting. The book is not selling well. I have no idea why. Suggestions on a postcard? It could be the cover. It could be the complexity of construction, flitting through and between time periods; the storyline, dealing, as it does, with a sensitive subject, maybe the impatience of modern readers, the odd misplaced punctuation mark, or it might just be a rubbish book; I have no way of telling. My beta readers all seemed to understand and enjoy it, but some recent readers find it incomprehensible. I won’t go to Hearthstone again, either in fiction or reality, but, I’m glad I wrote The Song, if only for the characters, most of whom I’m pleased to have known – some more than others. There remains a nagging, but minor, thought that perhaps I should have listened to my instincts and left the first draft to the moths. Or maybe let Chan chew it up. *My next book does not contain ghosts. Well, not many. Out October or November (laughs and falls over clutching a whisky glass). Incidentally, I’m looking for a copy editor who is prepared to work for good Scottish whisky or whiskey, if you prefer. DM me on Twitter if you have the necessary skills and are prepared to spill blood, preferably your own. October 2016 – Update: My ‘next book’ never materialised. It was written two years ago and then I put it in a virtual drawer and ignored it. I’ve written a few shorts, revisited old themes and had another stab at what was to be my magnum opus, but the magnum was missing and the opus was thin, so I binned that, too. Since ‘The Song’ I’ve had a many false starts and have come to the conclusion that I will stop writing long form prose for now. It will be there when it is and not before. This will come as a relief to many, but if it won’t happen then I will be content with a few short stories and retweeting the many terrific independent writers whom I have come to know and love over the years and who deserve the greatest success. This entry was posted in Uncategorized and tagged And Soon The Song, andsoonthesong, blog, books, copyeditor, crusaders, derbyshire, england, English Manor House, evil, fiction, Free, ghost, ghosts, Hearthstone, historical, horror, j.d.hughes, jdhughes, Kindle, M.R. James, mediaeval, medieval, new book, new novel, newnovel, northman, paranormal, Poe, Repton, Sheridan Le Fanu, supernatural, thriller, writing. Bookmark the permalink. By a strange coincidence, I finished AND SOON THE SONG this morning, and enjoyed it tremendously. I’ll put up reviews in all the usual places when I have a moment, though I doubt that many people listen to what I say! Anyway, this post provided some interesting background on the book. Nice touch about never being able to find the painting again – very creepy! Thanks Mari and rest assured that I listen to what you say having read your terrific story, ‘The Quickening’. If anyone out there enjoys a very creepy classic ghost story, written by a great writer, then go and get it now! Mari, this never fails to amaze me – I recently looked at a chick lit romp that’s done brilliantly in the Amazon charts. It’s even trad pubbed by the romcom department of a well known publisher. Well, I read the ‘look inside’ bit, and that was enough. Amateur writing, appallingly lazy sentence structure, grammar errors – yet it’s a best seller. All I can say is that one can never underestimate the appetite of the general public for complete garbage. Oh. Mari. I couldn’t sleep last night because of this exact thing. We are not be referring to the same book, but your description tracks with a novel whose chart-topping romp stole my sleep. Many, many fine books are ignored, while uninspired or quickly tossed off books are selling. Funny, you wrote your comment a year ago, and it perfectly captures how I feel today. 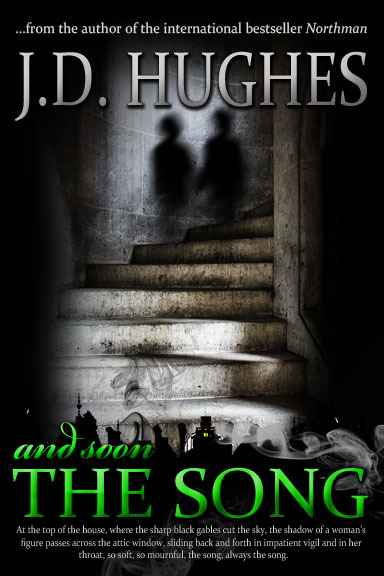 JD–And Soon the Song is a wonderful novel. It was well worth the journey! I had no idea you’d released another book! But popped to Amazon in the middle of the paragraph where you mentioned it. Had to get it before I read the rest of your post. I plan to abandon the book I’m currently reading to dive into And Soon the Song. Can’t wait. You’re not alone, Lene. My publicity was so bad that even I didn’t know I’d released it! Kind of you to buy ‘The Song’ – let me know how you get on with it. Your journey to write And Soon the Song is fascinating. I can’t wait to read it. I am curious about the picture of the green-eyed woman. A bit spooky, that was! I hope the book is finding it’s way to readers now. You know I love your tweets about it. They made a buyer out of me! I know it sounds like a bit of blurb, but the story about the painting is true – I can still see the woman’s face, but all my attempts to identify her have come to naught. It would be truly weird to discover her and find that her name was Elyssia and she was insane. The book has found it’s way to a few obviously discerning, highly intelligent, wonderful readers, like yourself. Aniko (feel the grovelling?) but is unlikely to trouble the top 10,000 unless it’s free or I give away a free Japanese Toser with every book! That you saw her, but now cannot find her, points to the deeper mysteries of creativity. There is something beyond pure reason, and senses beyond the ordinary five. You were called to it by the story itself. I look forward to reading And Soon the Song! My other novel, Northman, was inspired by a visit to the mediaeval St Wystan’s Church in Repton, Derbyshire. The original monastery forms the foundations for the church and is raided by my Viking character, Thorkild. There is still an odd feeling of suspended time in the original crypt and shufflings in the dark recesses (probably mice). Perhaps we are all formed by our immortality. I agree with your comment about the senses. Why should there be a limit? Love to hear your comments about ‘The Song’ – even if you don’t like it! 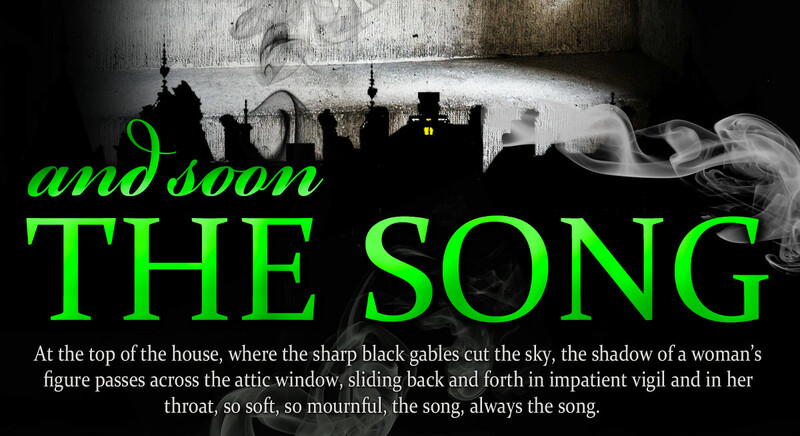 I started “The Song” yesterday. At somewhere around 4% in, you already managed to make me tear up, and I was on the commuter train home, on a Friday afternoon – odds are always against anyone making me cry on a Friday evening! I could imagine a little boy, so hopeful that someone would adopt him, and when you said he “put on a clean shirt” and tried to look happy, oh my. That got me. So… initial predictions are that this is going to be a great read. An author’s primary job is to get the reader to feel. Job well done! PS When I am done with a book, I always post reviews on both Amazon and Goodreads. I do wait until I have a batch of several books reviewed before I post, just for time reasons, but I make sure to comment in forums where it can most help other readers find your work. You have just made my day, Aniko! Thanks so much for your support. Tom’s early days are important in order to make sense of the rest, but ‘Song’ gets a lot darker later, so I hope it continues to be readable. If not, well, I’m always looking to improve and take criticism pretty well for an old curmudgeon! Dark is okay with me, especially if it helps me understand how to process and survive the darkness that happens outside of fiction. That is an insightful comment. 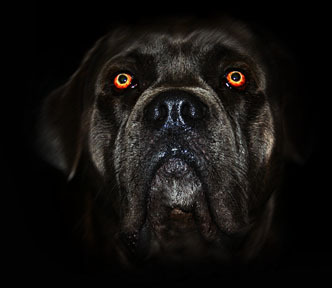 Perhaps it is what motivates horror writers to write about the dark stuff. We all address our fears in one way or another.